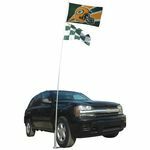 Collapsible flagpoles on the go are the perfect pole for tailgating parties, parades, sporting events or at home. 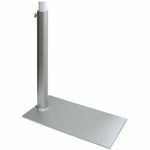 These silver collapsible 'flagpole to go' have a unique design allows for adjustment of a variety of flag sizes as well as locking the flag into place and easy storage. 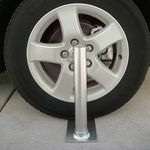 Show off your favorite sports team or school colors.